Egress Windows, Wells & Covers All Shapes and Sizes. Fast Shipping! 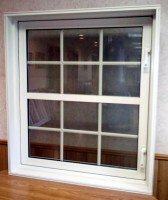 Egress Windows, Wells & Covers All Shapes & Sizes. Egress is defined as the action of going out of or leaving a place. 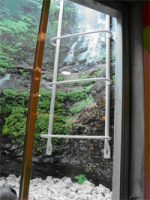 We have designed and developed the best window and well solutions to ensure that everyone has an easy escape in case of an emergency. For example, imagine a family member, loved one, or friend is sleeping in the middle of the night. Faulty wiring or something as simple as a Christmas tree happen to catch fire, which quickly spreads to other parts of the room. In many situations, by the time your loved one realizes a fire is taking place, the fire is already beginning to spread and smoke is beginning to block their view. The smell of smoke awakens your loved one, but is there an easy way out? This is where REDDCO Inc. comes to the rescue. Something as simple as a Redi-Exit basement system can lead your loved one to safety. Our President, Forest Whitesel, decided that something must be done to help people in these situations after his neighbor lost her life by being trapped in a house fire. She could not jump from her second story window and her rescue came too late. Realizing that this was a tragic waste of life, Forest went to work designing and testing the REDI-EXIT® Fire Escape System, the most innovative and unique permanently mounted residential escape system on the market today. Reddco Inc. has a complete variety of windows, window wells, window well covers and much more. We have a large inventory, which allows us to quickly meet any project you have. We’ll have the ability to ship your products fast and everything we produce is made right here, in the USA. Strict requirements have been put in place to ensure that everyone has an easy escape during a house fire. All of our windows are IRC code compliant. We have windows as narrow as 27 inches wide. 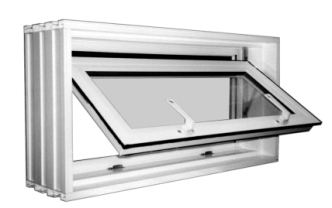 In fact, our compact windows are the smallest available windows on the marketplace. However, our custom widths can be built for widths up to 60” and heights up to 76”. All of our egress products are made in the USA and the vinyl windows are guaranteed for 10 years! REDDCO Inc. offers a wide array of window wells and window well covers. We work with price ranges that can fit any contractor or homeowner’s budget and our large selection of inventory allows us to quickly ship any egress well requirement that you’re working with. Our wells and covers are made of many materials including Galvanized Steel, Fiberglass, Polyethylene Plastic, and Vinyl. We also understand that space is usually limited on window well projects, which is why we offer the smallest wells available in the marketplace all while meeting all IRC Code requirements. 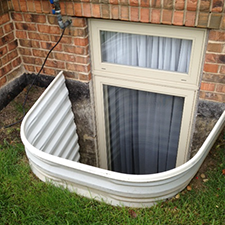 Click here to learn more about Egress Window Wells & Covers. While egress replacement windows are extremely important when an occupant is living in the basement, not every basement window has to be egress. The IRC code states that egress is required in every habitable space. When a room is being used as a sleeping space then every room needs to have its own egress. However, for every other window in your basement that doesn’t have to comply with IRC Code, Redi-Exit has the solution. Custom Wells & Covers allow you to solve your most difficult basement problems. 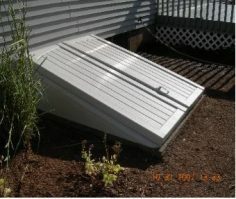 We understand that each egress installation is unique and different from the next. For example, some projects will require you to build an extremely large well. Some projects will require you to install an extremely long well. Regardless of the situation, Redi-Exit can customize you a well and cover. Give us a call; our technical experts will work closely with you to help you develop a beautiful basement egress system! Reddco Inc. offers an array of basement well accessories to help ensure an easier escape and to compliment any egress project you’re taking on. If you’re looking for the perfect accessory for your next project please call us at 866-996-1989 for Price & Delivery Note. BILCO basement doors are a great way to meet IRC Code requirements while adding outside access to the basement. The wide opening allows you to easily move large basement storage items from your basement to the outdoors without having to move these items through your home. Bilco doors are ideal if you store patio furniture, outdoor chairs, appliances, pool tables and much more.